Lead by Peter S. Park, Park West Asset Management recently reported a new passive stake in World Wrestling Entertainment, Inc. (NYSE:WWE). The stake represents a 6.5% ownership in the company, with an aggregate amount of slightly more than 2.03 million shares of the company’s class A common stock. 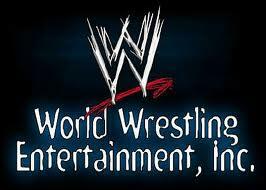 World Wrestling Entertainment, Inc. (NYSE:WWE) is a recognized global media and entertainment company. Its main revenue source is the development, production, and marketing of professional wrestling content, the company selling tickets to live events, at which merchandise is sold directly, and which are streamed online and/or televised. Generating steady revenues of around $480.00 million in the past 4 years, with $508.00 million in 2013 (5% more than in the previous year), but respective profits of only $2.80 million, significantly less than the $31.50 million earned in the previous year. According to the company’s 2013 earnings press release, the decline in operating income was primarily attributable to increased investment in staffing, talent and marketing to support strategic content initiatives, including the launch of WWE Network – a recently announced new business plan that might generate significant earnings growth and substantial returns by 2015. Analysts estimate losses of $0.16 earnings per share in the first quarter of 2014 and average losses of $0.10 for the whole fiscal year, but also expect a significant financial improvement for 2015, predicting earnings per share of $1.13. The company almost quadrupled its share price year-to-date, hitting an all-time high of more than $30.00 per share as of March, 18. The current mean analyst recommendation is “Overweight”. Although managers of World Wrestling Entertainment, Inc. (NYSE:WWE) are very positive about the company’s growth prospects, there is skepticism about how sustainable such growth is. Intrepid Capital Management, a mid-size value fund managed by Mark Travis, recently cut its exposure to World Wrestling Entertainment to 2.8 million class A shares worth $47.21 million, from the previous position of 3.26 million. Another fund holding WWE is Jim Simons‘ Renaissance Technologies, with an investment of $31.15 million in a total of 1.88 million class A shares outstanding. Roughly 45% of Park West Asset Management’s equity portfolio sector allocation is invested in Services and Technology. In February 2014, the fund revealed an increased position of 1.5 million shares in Outerwall Inc (NASDAQ:OUTR), now owning 6.00% of the company’s common stock. Park West also holds 300,000 shares worth $36.38 million in Bio-Rad Laboratories, Inc. (NYSE:BIO.B) and 1.45 million shares worth $35.76 million in Newfield Exploration Co.(NYSE:NFX).